If you have a slow metabolism, you are in a fix. Because no matter how much you control your food cravings, calories will inevitably get stored as fat. Worse, it will also be difficult for you to lose weight. Now, metabolism can be slow due to age, hormonal imbalance, stress, and heredity. So is there a way to boost your metabolism? 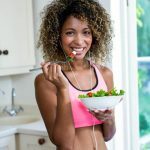 Well, not one but 32 effective ways that will accelerate your metabolic rate, help you lose weight without trying too hard, make you look healthy, fit, and beautiful. So without much ado, let’s begin exploring! Green tea is loaded with epigallocatechin-3-gallate, a phytonutrient that helps in boosting fat metabolism, reduces the risk of cardiovascular diseases, diabetes, and obesity. 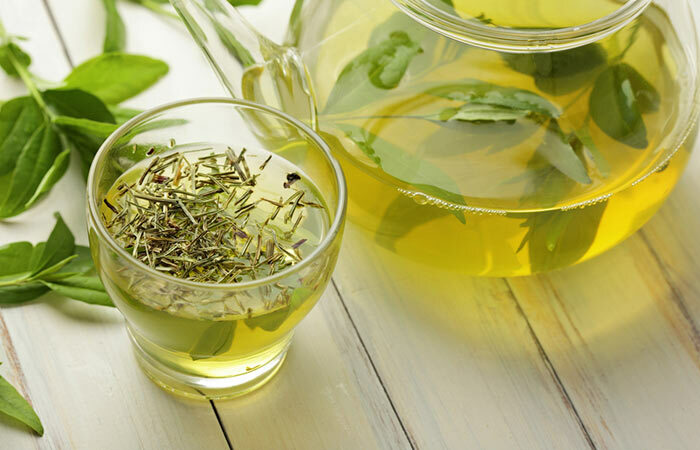 Moreover green tea is a zero calorie drink, and you can add ginger, honey, lemon, cinnamon, mint, clove, etc. to give your cup of green tea a different flavor every day. Have a cup of green tea with your breakfast or between large meals (1) (2). Yes, if you want to improve your metabolic rate then you should consume the whole egg. 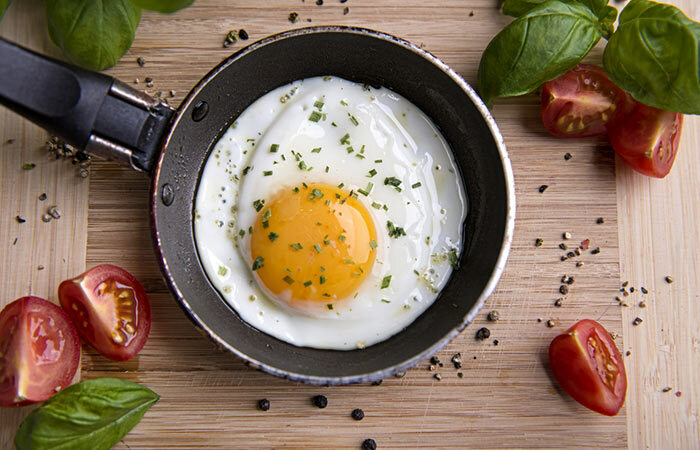 Egg yolks are rich in essential fatty acids, fat-soluble vitamins, and choline that regulates the gene responsible for fat storage in your liver. Consuming whole eggs also increases the plasma HDL cholesterol (good cholesterol) levels. So, you can have one or two whole eggs per day without raising the cholesterol levels too high (3). When it comes to increasing your metabolic rate, it is critical that you eat lean protein sources daily with each meal. A 58-kg person would need 47-58 gm protein (approximately 0.8 gm protein per kg weight). It’s a false notion that consuming protein can lead to fat gain. 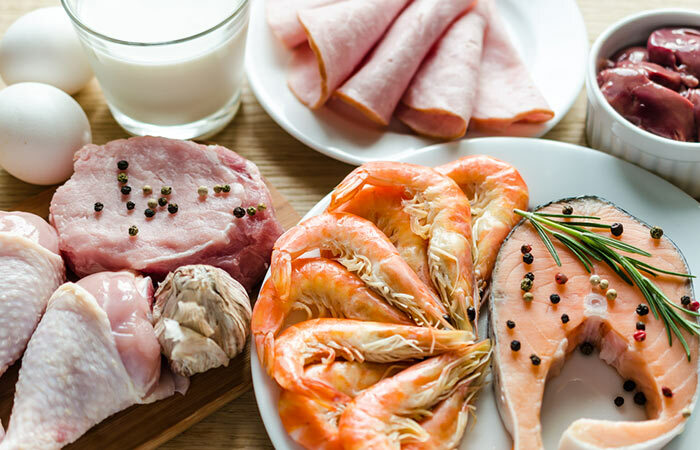 Protein is food for your muscles and eating protein will build lean muscle mass (along with exercise) which will increase your weight but reduce body fat percent. Also, proteins are difficult to digest thereby keeping you full for longer. Proteins also increase metabolic rate up to 35 percent (4). Consume lean protein sources such as fish, chicken breast, ground turkey, lean cuts of beef, soy, mushroom, tofu, legumes, beans, eggs, etc. Fruits and veggies are loaded with dietary fiber, vitamins, minerals, and other phytonutrients that help to detoxify the body, suppress hunger, improve bowel movement, prevent cardiovascular diseases, and also increase the metabolic rate. It does so by reducing inflammation in the body. Inflammation is one of the reasons for slow metabolism and inflammation-induced obesity (5). Therefore, include green leafy and colorful veggies such as Chinese cabbage, spinach, kale, rocket spinach, cabbage, bok choy, celery, broccoli, tomato, bell pepper, beetroot, carrot, cauliflower, sweet potato, eggplant, etc. 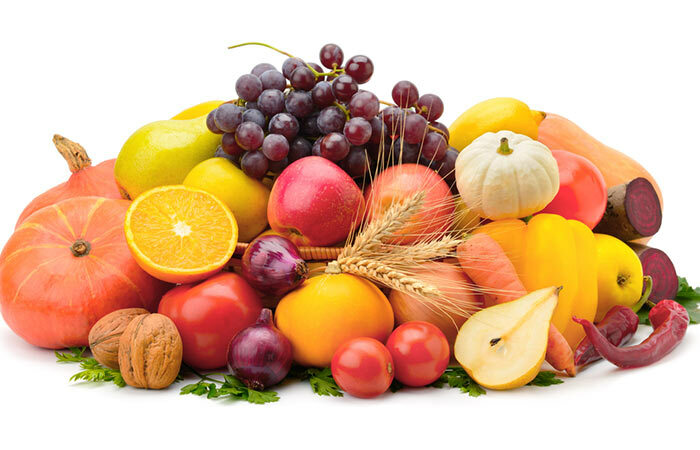 And for fruits have prunes, pear, apple, orange, tangerine, grapefruit, plum, lemon, pineapple, banana, avocado, black grape, blueberry, strawberry, raspberry, etc. Garlic consumption can help reduce triglyceride, lipid, and bad cholesterol levels in the blood (6). 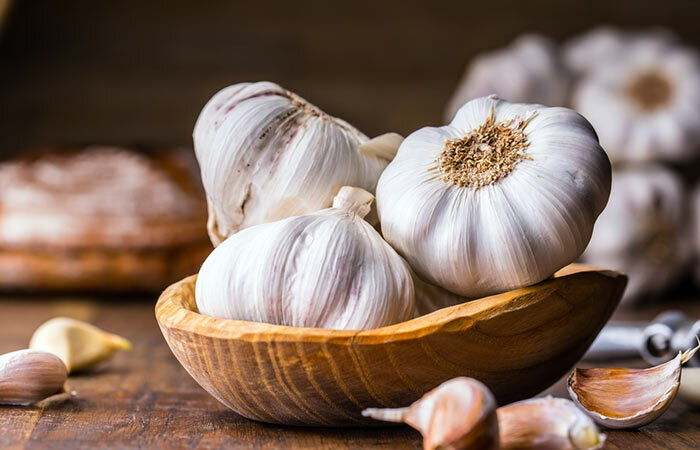 Garlic also has anti-inflammatory properties that suppress the production of adipokines thereby reducing inflammation (7)and increasing the metabolic rate. Have one garlic clove every morning to increase metabolic rate and minimize the risk of cardiovascular diseases. Also include garlic in your salad dressing, smoothies, grilled veggies, soups, and curries. 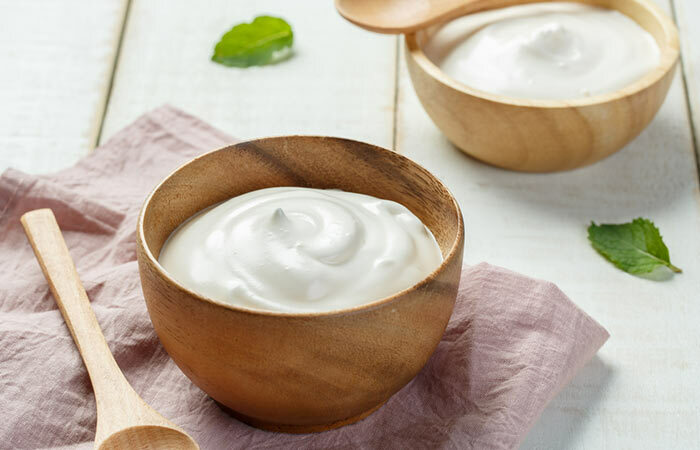 Yogurt is loaded with good gut bacteria that helps digestion. Scientists have also found that consuming a substantial amount of yogurt can help reduce fat deposition in the mid-section of your body (8). Improper digestion is often the reason for a slow metabolic rate. Therefore consuming yogurt can help improve digestion and increase the metabolic rate. Have yogurt with fruits for dessert or just a small cup of yogurt after your lunch to boost metabolism. Nuts are rich in healthy fats, vitamins, and protein. Healthy fats help lower inflammation and therefore helps to reduce the risk of inflammation-induced obesity. 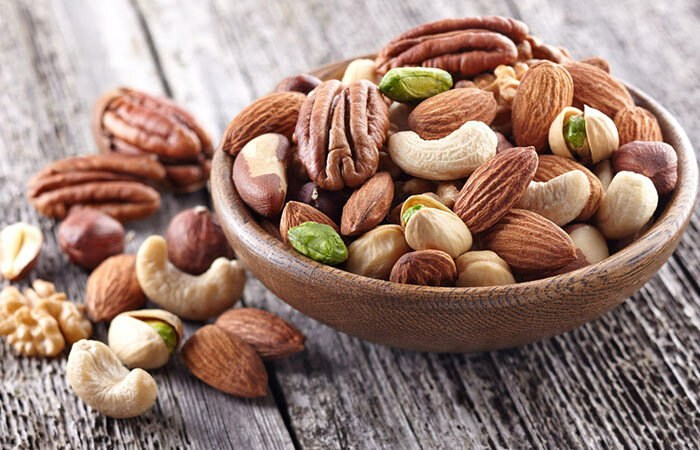 Nuts improve metabolism, increases satiety, and help metabolize fat (9). Consume 4-6 soaked almonds in the morning with your breakfast. You can also snack on 30-35 in-shell pistachios (unsalted) or include walnuts, pine nuts, macadamia nuts, etc. in your yogurt or dark chocolate to give it an extra crunch and flavor. Stress induces inflammation, high blood pressure, insulin resistance, etc. in the body. And you know that inflammation leads to slowed down metabolism and as a result you will gain weight even if you starve yourself. In any case, stress is not good for your physical and mental health (10). 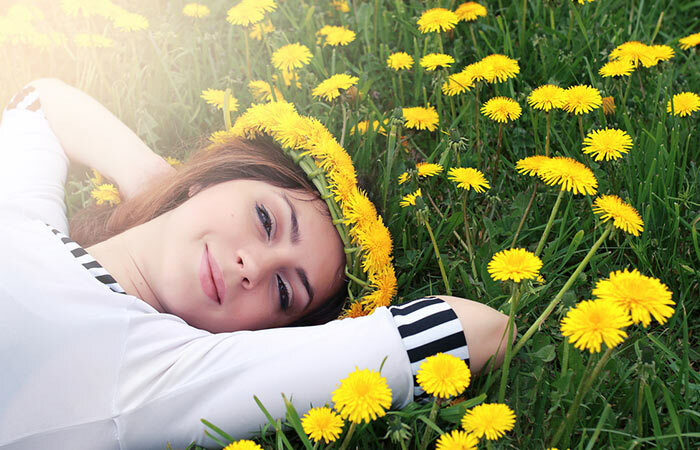 So, try to relax and ward off any negative thoughts. Do something that you enjoy—cooking, traveling, playing a sport, watching movies, painting, taking pictures, going to the spa, going out with friends, walking your dog, or learning a new skill. This will keep you occupied, and you will have less energy and time to stress about things. Moreover, it is always better to learn to compartmentalize. 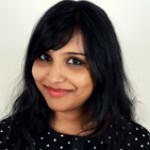 Meaning, keeping your personal issues separate from work issues. Solve your problems one at a time. Water therapy works wonders. Make it a habit of drinking at least two glasses of water first thing after you wake up in the morning. This will help flush out the toxins through urine and stool, thereby reducing inflammation. In fact, scientists have found that drinking 2 liters of water every day can increase metabolic rate (11). So you should also keep yourself hydrated throughout the day to keep your metabolism kicking. Office parties, house parties, weddings, birthdays, promotions—you name it. Alcohol is an integral part of any celebration these days. That’s fine. But you have to be extra careful about consuming alcohol because you have a slow metabolism. Too much alcohol in the body causes dehydration, which increases inflammation and that, in turn, leads to slower metabolic rate. 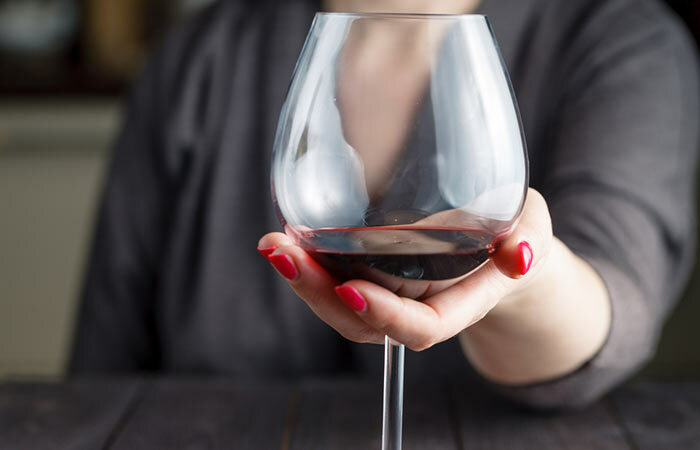 Once the metabolic rate slows down, the calories from alcohol get stored as fat. So, try to consume no more than one peg alcohol. 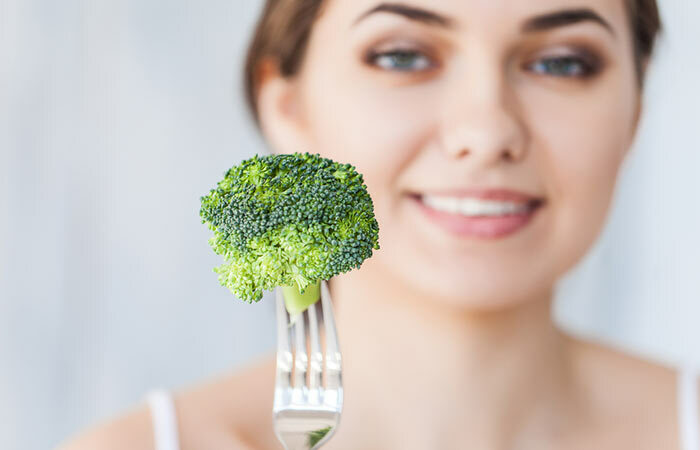 Broccoli is rich in antioxidants that reduce oxidative stress levels. This, in turn, helps to flush out the inflammation-inducing toxins (12). Broccoli is also anti-cancerous and improves heart health. You can eat broccoli by blanching, grilling, or adding in soup. Make sure that you do not overcook broccoli as that can destroy the goodness of it. 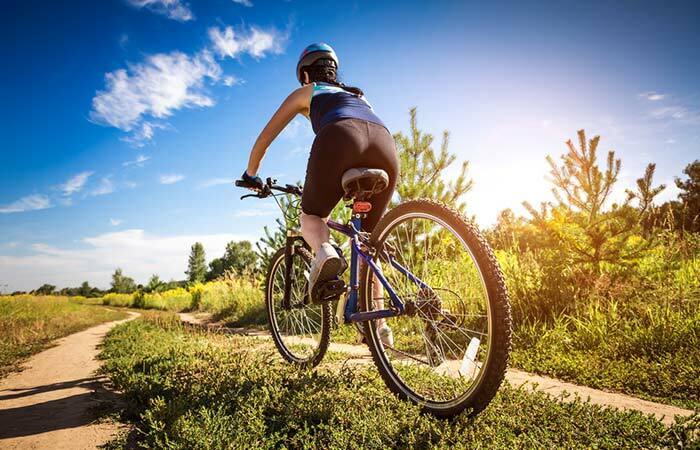 If you want to boost your metabolism, you have to do physical exercise to keep your fat mobilization going. In fact, working out can help lower the bad cholesterol and triglyceride levels (13). Do a mix of cardio, strength training, and weights to burn the calories. You can also swim, walk, go cycling, play a sport, run intermittently, dance, etc. to mobilize the fat and increase your metabolic rate. Olive oil contains about 30 phenolic compounds that are antioxidant in nature (14). This low-calorie healthy fat adds flavor to your food without making you gain weight and helps to scavenge the harmful oxygen radicals. This, in turn, increases your metabolic rate and helps to burn the calories. 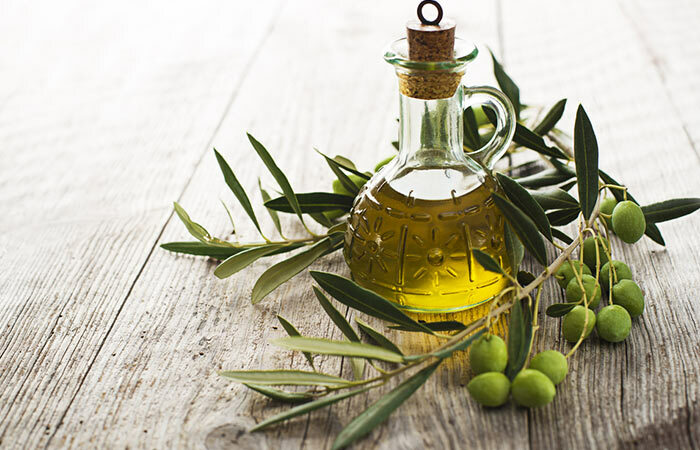 Use olive oil to saute, stir-fry, or to make a salad dressing. 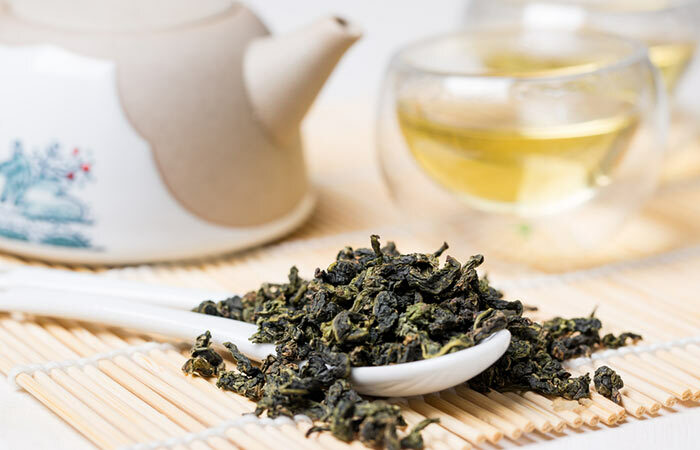 After green tea, oolong tea is the best tea for weight loss. It is also loaded with antioxidants that reduce inflammation, flush out toxins, suppress appetite, and increases lipid metabolism (15). Drink oolong tea before your meals or in between large meals to get the maximum benefit. It’s a cliché, but I will still emphasize the importance of not skipping your breakfast. This point is applicable for all, even those who do not have a slow metabolic rate. 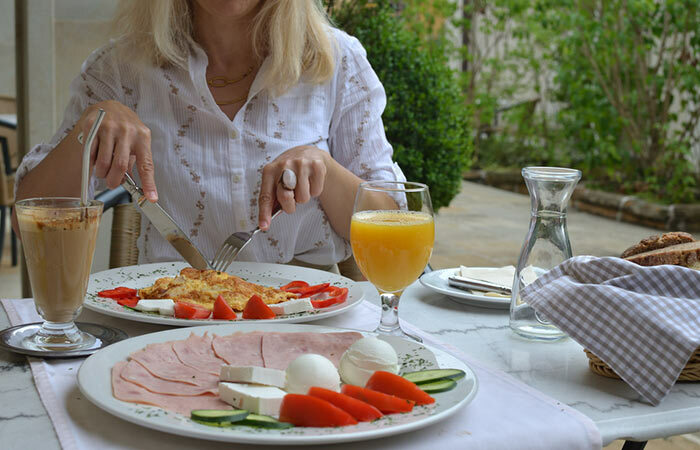 Skipping breakfast means not giving your brain the signal to restart itself. This slows down the brain which directly impacts your metabolic rate. Therefore, wake up your brain by having a substantial breakfast in the morning. Include a source of lean protein, dietary fiber, and healthy fats to start your day. Turn the heat up by adding cayenne pepper to your food, smoothies, detox water, or juices of fruits and vegetables. 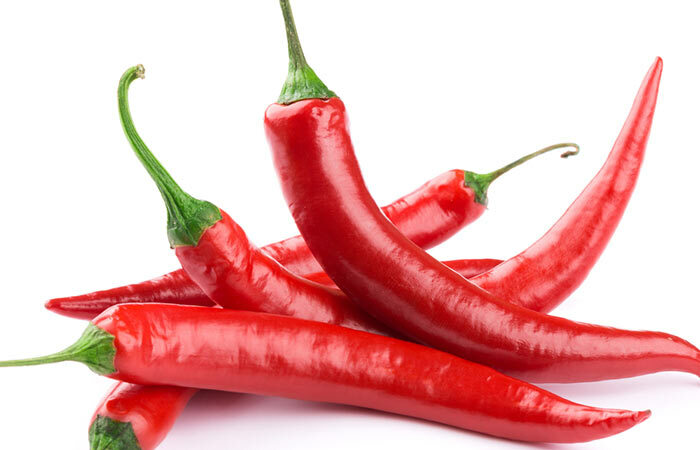 Cayenne pepper contains capsaicin that boosts the metabolic rate (16). Spicy food has a thermic effect and thereby helps to metabolize food at a faster rate (17). Consume 1-2 teaspoon cayenne pepper per day. Add a pinch of cayenne pepper to your juice or smoothie to give it an extra punch. Turmeric contains curcumin, known for its anti-inflammatory and antioxidant effect (18). Both these properties help to reduce inflammation, increase metabolism, and reduce the risk of obesity and obesity-related diseases. 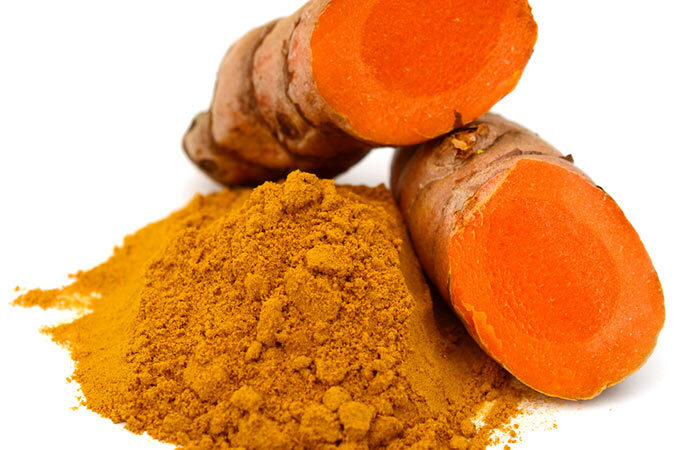 You can chew half an inch of turmeric root in the morning on an empty stomach, add turmeric powder to your juice or smoothie, add turmeric paste to curries, sauteed veggies, grilled chicken or tofu, etc. Amplify the benefits of drinking water by adding tangy fruits, herbs, and spices in water. Detox water is loaded with vitamin C, an antioxidant, which helps to flush out toxins. This, in turn, increases your metabolic rate and prevents your body from depositing every calorie that you consume as fat. 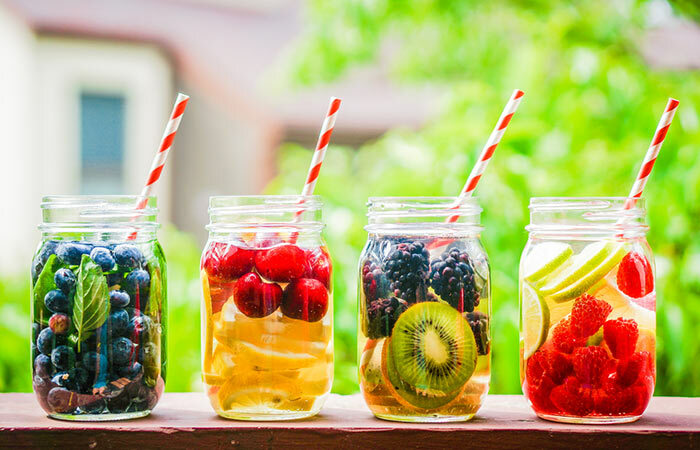 Add cucumber, mint, cinnamon, strawberries to your water to make a delicious detox water. Not eating enough can also slow down your metabolism. Because when you do not eat, your body goes into starvation mode and your brain signals the body to store all the calories. Therefore, your metabolism slows down, and you start gaining weight instead of losing it. 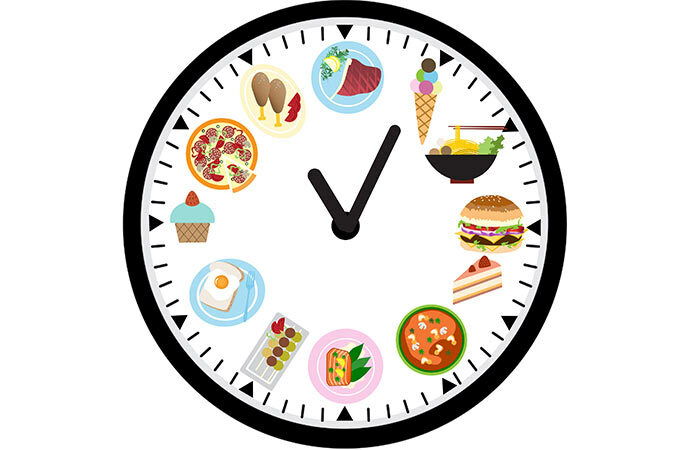 So, eat healthy every 2-4 hours to keep your body from shifting to starvation mode. When I say eat frequently, I mean eat healthy. If you eat a bag of potato wafers, you will gain weight. So carry a healthy snack to your office or school to prevent yourself from snacking on unhealthy trans-fats. 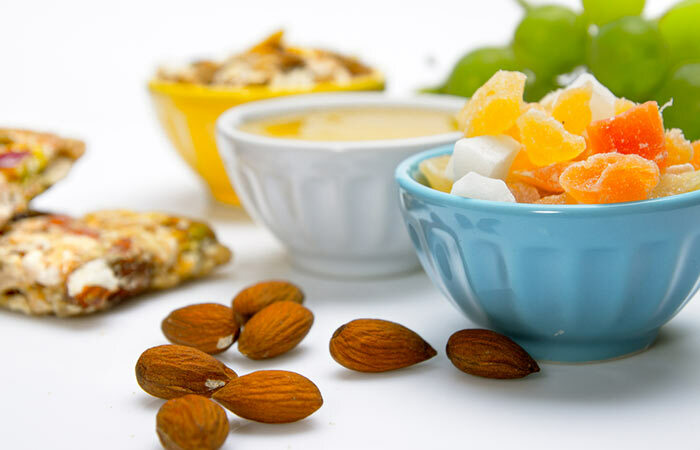 You can snack on yogurt, pistachios, baby carrot, fruits, green tea, oolong tea, black coffee, coconut water, etc. These foods are rich in dietary fiber and phytonutrients that will help increase your metabolic rate, prevent fat absorption and keep you full for longer. You may unconsciously consume a lot of calories in the form of salad dressing. Since you eat a salad you might think it is healthy, but a fat-loaded dressing can ruin the very purpose of a salad. So, make a light salad dressing using olive oil, Dijon mustard, lime juice, and herbs. 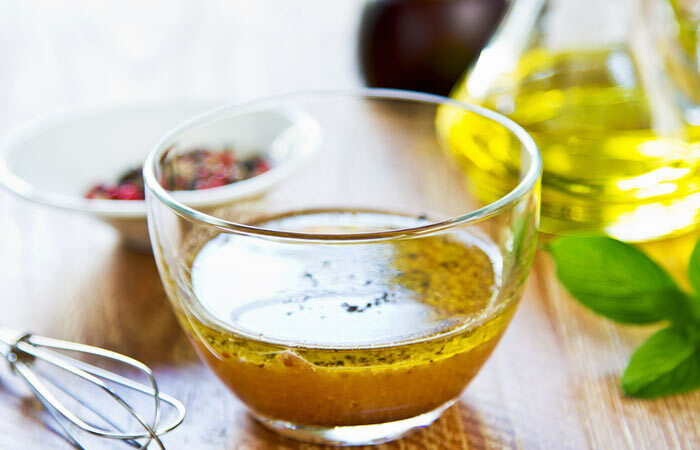 This salad dressing contains ingredients that have a thermic effect on the body, possess antioxidant and anti-inflammatory properties, and boost metabolism. Matcha is the newer and better version of green tea. It has 137 times more epigallocatechin-3-gallate than green tea. Its strong antioxidant property makes it an ideal drink for accelerating your metabolic rate. 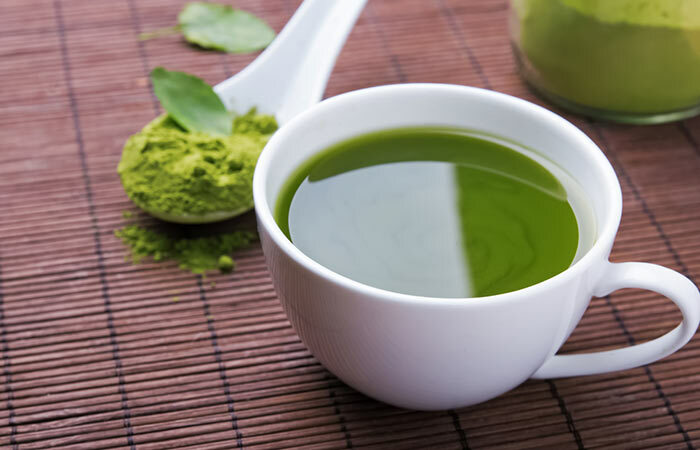 It’s a powdered form of green tea that has shown to reduce blood glucose, cholesterol, and triglyceride levels (19). Prepare it as you prepare green tea, or you can also add herbs, spices, honey, or lemon to give it a different flavor. 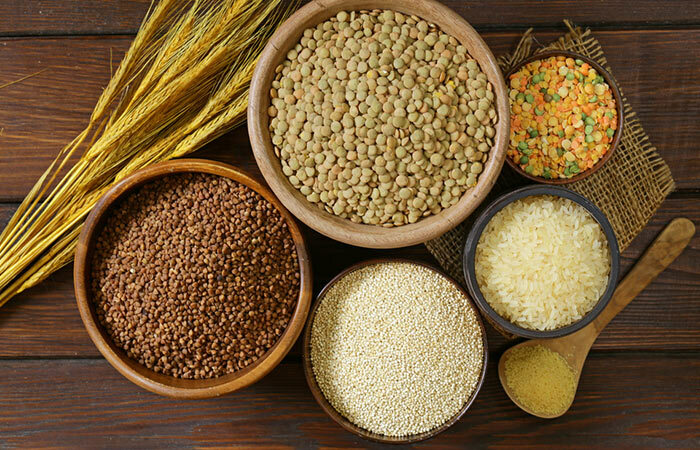 Whole grains are rich in fiber and helps boost glucose metabolism, improves insulin sensitivity, and keeps your hunger pangs at bay. Have three servings of whole grains to drive your metabolism (20). Consume brown rice, barley, buckwheat, broken wheat, millet, oatmeal, etc. Add veggies or any lean protein source along with healthy fats to make a delicious and quick meal. 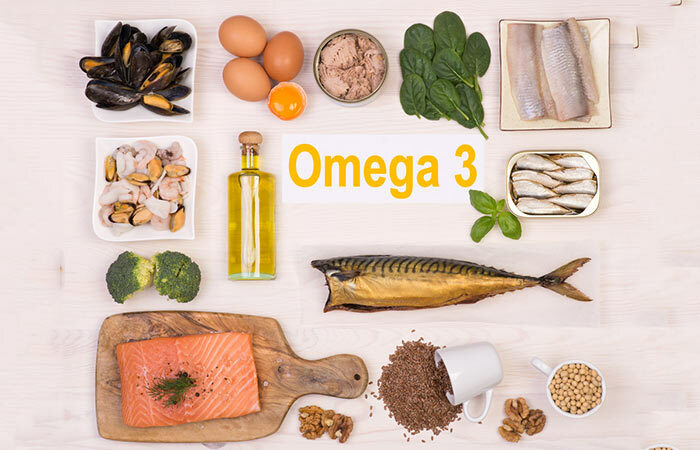 Omega-3-fatty acids are polyunsaturated fatty acids that help to reduce inflammation in the body. These days most foods that we consume contain an imbalanced ratio of omega-3-fatty acids and omega-6-fatty acids. Consuming foods that have a good amount of omega-3-fatty acids will help rebalance the ratio and help to improve metabolic rate (21). This, in turn, will help reduce weight. Consume fish oil, fish (with skin), flax seeds, spinach, soybean, walnut, caviar, chia seeds, pumpkin seeds, hemp seeds, and egg yolk. Trans fats are harmful and can cause cardiovascular diseases, diabetes, insulin resistance, fatty liver, etc (22). Scientists have found that consuming foods containing trans fats can alter how nutrients are metabolized and absorbed in the body. It causes toxic buildup and inflammation, which ultimately results in a slow metabolism. 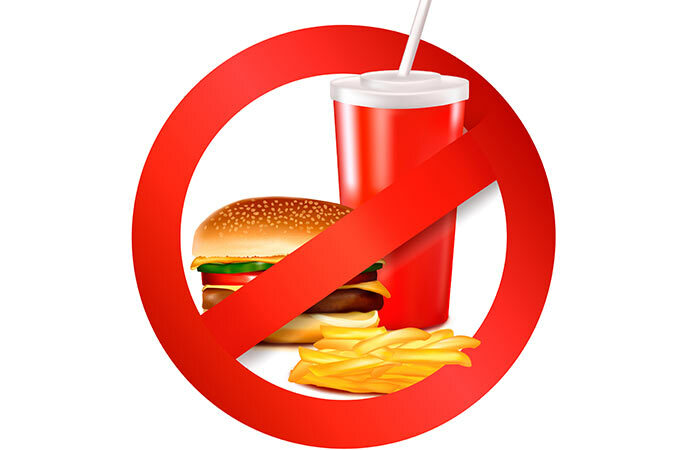 Avoid foods such as a doughnut, fries, potato wafers, deep fried chicken, batter-fried foods, frozen pizza, margarine, cake frosting, non-dairy creamers, biscuits, frozen pasta, frozen lasagne, fried crunchy noodles, etc. The most common problem today is we all have desk jobs. We sit in one place almost all day, which signals the brain to believe there is no energy deficiency.This slow down metabolism and store the calories as fat for later use. Merely working out thrice a week won’t do, stay active. Take the stairs, walk to and from your workplace or school, you can also cycle, hitchhike, get up from your desk every hour and take a stroll, if you cannot waste time on a walk stand up and work for few minutes. 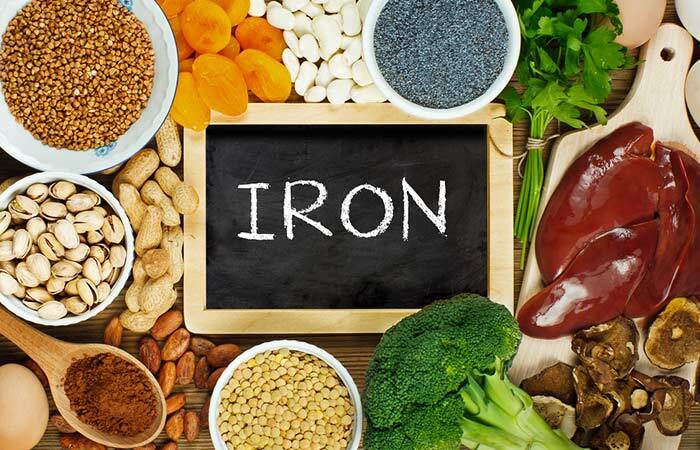 Iron plays an important role in the reactions involved in metabolism. Therefore iron deficiency can cause metabolism to slow down and also deprive the cells of oxygen, which can lead to improper cell functioning (23). Consume dark green leafy veggies, seafood, beans, peas, beetroot, spirulina, lentils, dark chocolate, raisin, pistachio, and beef liver. 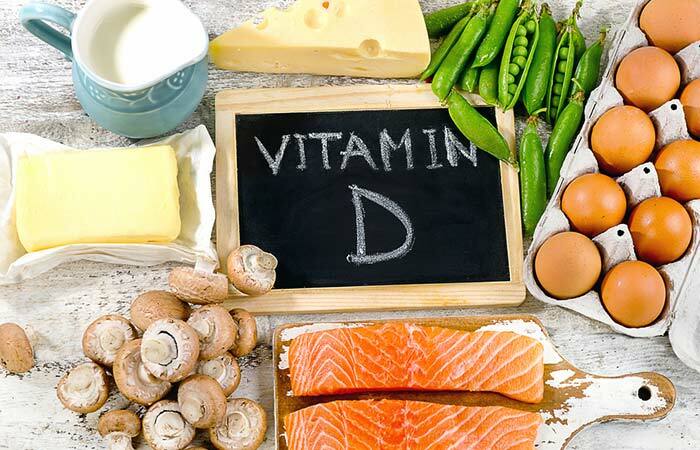 Vitamin D promotes proper cell division, cell growth, and development. When all the cells function properly, it ensures metabolism is on track and doesn’t slow down due to faulty cell function. Include foods such as sardine, salmon, eggs, milk, shrimp, and cod (24). Not sleeping enough leads to a toxic buildup in the body, resulting in inflammation and slow metabolic rate. Lack of sleep is closely related to weight gain. Make sure you get at least 7-8 hours of sleep every day. Keep your mobile phone on night mode, shut down your computer, listen to soothing music or read a book before dozing off. 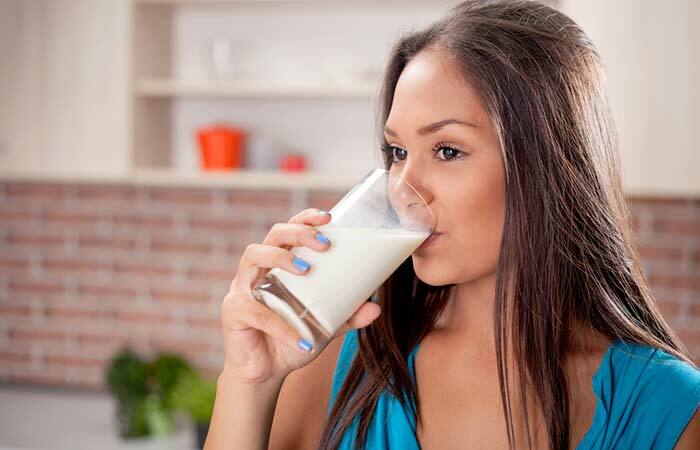 Research findings have confirmed that drinking milk may help boost metabolism (25). Drink at least one cup of milk every day. You can add milk to your fruit smoothie or add a teaspoon of turmeric powder to a cup of warm milk and drink it before going to bed. Also, have full-fat milk to derive optimum benefits of the milk proteins. 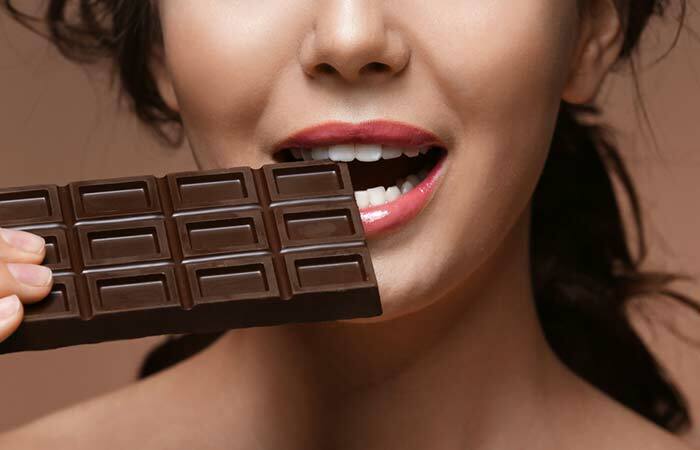 Dark chocolate can help lift your mood and stimulate metabolism (26). Depression, anxiety and other negative emotions lead to the production of harmful oxygen radicals that interferes with cell function. Therefore have a small piece of dark chocolate to nullify the negative emotions, feel good, and boost your metabolic rate. Laughter can stimulate positive emotions and release “feel good” hormones. This, in turn, will help the body to function properly. Therefore, laugh a lot and stay happy to boost your metabolism. So, those were the 32 ways on how to increase metabolism. Now, I have created a sample diet plan to help you plan your meals and include as many foods listed above as possible. Take a look. 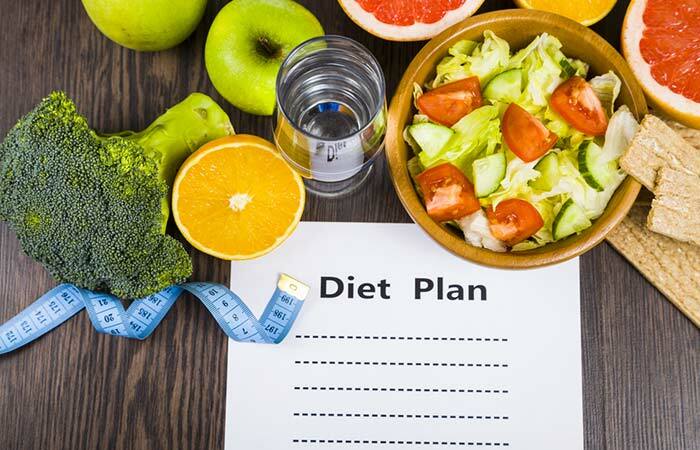 This diet chart lists all the foods that will help boost your metabolism plus the meal timings, which is also a crucial factor. To be precise, there’s a gap of 2-3 hours between every meal and you should maintain it. It will keep the cells active. Now let me tell you in brief what metabolism is and what factors affect it. Metabolism is a term used to describe the process of breaking down of proteins, carbohydrates, and fats to yield energy in the body. Our metabolism makes up for the entire range of biological processes that happen internally. The rate of metabolism depends on the interaction between the number of calories you consume and the number of calories you lose by exercising. Anabolism allows the body to grow new cells and maintain the tissues. It is the synthesis of all compounds needed by the cells. Catabolism is the series of chemical reaction that break down the molecules into smaller units, which help in obtaining energy. A person with a fast metabolism will lose more weight than an individual with a slower metabolism rate. Our metabolism decreases by around 5% every decade after the age of 40 because of decreased muscle mass. As you mature, you need to be more active in exercising and watch what you eat. It is believed that men burn more calories than women because of the muscle tissues present in their body. You can inherit your metabolism from your parents and grandparents. Hyperthyroidism and hypothyroidism can slow down or speed up the body’s metabolism. Check with your doctor about your weight issues. 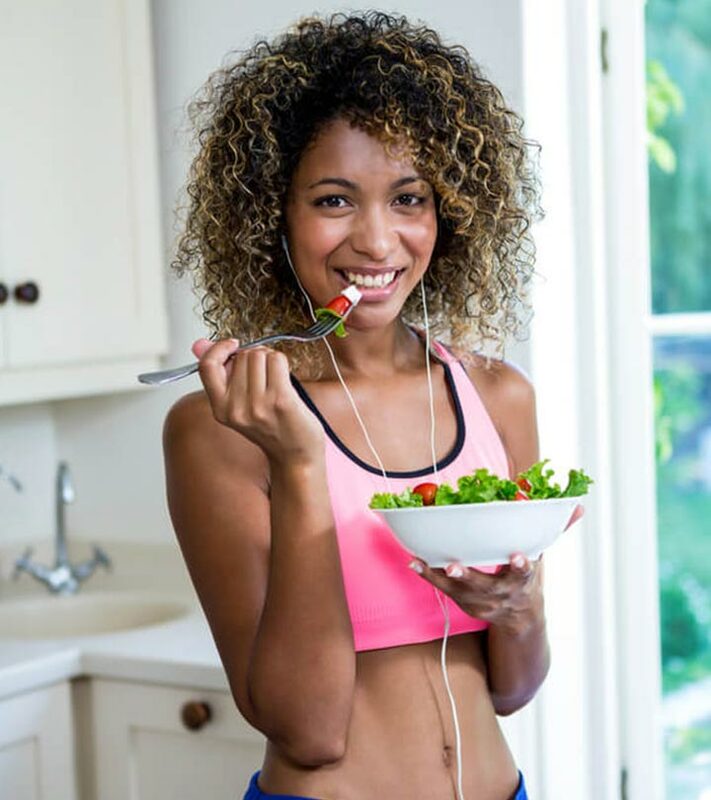 To conclude, metabolism may depend on various factors, but you can speed up your metabolism by eating metabolism boosting food and incorporating healthy habits that will indirectly affect your metabolism in a positive way. So, now that you know how to boost metabolism, what are you waiting for? Start following these simple ways and get back to being fit and disease-free. Good Luck!